Quantum Wire & Chemicals was formed in 2010 and we have enjoyed year on year growth. Since our foundation we have developed a strong customer base across various industries thanks to the recommendations we have achieved by providing top quality wire products and excellent customer service. 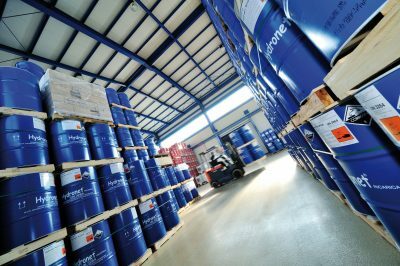 At Quantum Wire & Chemicals we have secured sole distributor agreements, covering the UK and Ireland, with two well respected Italian manufactures – Bottaro Mario S.r.l and Soprin S.r.l. Soprin S.r.l. is the chemical division of the Bisol Group, which specialises in the production of chemical products for the hot dip galvanizing industry. Bottaro Mario S.r.l. have been producing the highest standard of annealed steel wire for over 50 years and have firmly established themselves as one of the European leaders in manufacturing wire products and distributing around the world. We are based in a central UK location and hold stock of our most widely used products so we can ensure deliveries are quick and reliable. Quantum Group is a division of Zinco International, a wholly owned subsidiary of Hereford Galvanizers Ltd, a well-respected company established since 1964 that specialises in providing hot dip galvanizing and powder coating services across the UK.